So, You Want to Marry a Tech Mogul? This is just a peek into the Linx Dating database of more than a thousand Silicon Valley singles. It’s up to Amy Andersen, CEO and founder of the Menlo Park-based matchmaking service, to help time-poor and cash-rich tech moguls, venture capitalists and angel investors in the Bay Area find their perfect match. They have demanding schedules and/or constantly travel. They tend to keep tight-knit social circles. They are often extremely picky. But Andersen isn’t just about checking the box for good looks and common interests. She says Linx Dating, which charges between $2,000 for basic memberships and up to $50,000 for VIP clients (a majority of whom are men), has thrived because of her expertise in branding and networking. Linx hosts year-round Link & Drink networking events at local venues like the Stanford Golf Course Clubhouse and the Rosewood Sand Hill Hotel. For premier members, the company provides customized cocktail parties right at the client’s office – a posh service for busy execs who are chained to their desk. Furthermore, Andersen's team offers private date-coaching, image makeovers, wardrobe consulting, personal shopping, fitness training and online dating profile-writing. Meanwhile, Kelleher International, which brands itself as an executive search firm for singles, runs an invitation-only CEO Club. They organize elite outings for networking and charity, such as a $45,000 field trip to an exclusive yacht party that sets sail to Richard Branson’s Necker Island. 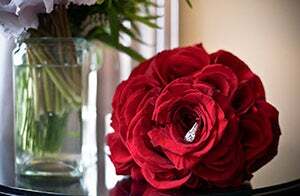 But despite the comprehensive list of luxury services, Kelleher says her business still values the basic tenets of old-fashioned dating, where shared values and natural chemistry between two singles reign supreme.